Authors are ROCKSTARS! : We're baaaaaack. This is so exciting you guys. You see that? That's Allison and I TOGETHER AGAIN. Despite thousands of miles between us, we're coming back. We miss you. We miss talking about books. We're kicking off our re-launch with some special interviews on a topic that is important to us - mental health and suicide prevention. So what's the story? 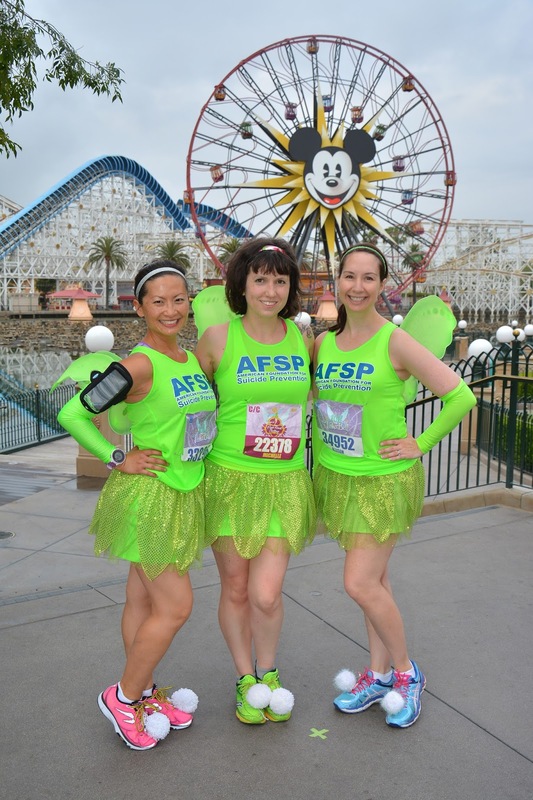 Allison and I both started running last year and decided that we'd like to do a race together at Disneyland and do it for a good cause. We decided to run for the American Foundation for Suicide Prevention, a cause that is very important to both of us. It was so much fun to raise money for an organization doing such amazing and important work. 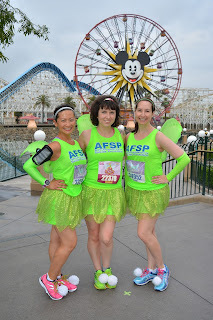 We had a blast representing AFSP at the Tinkerbell 10k event in May (pictured here along with our friend Estelle). We loved it so much that we're doing it again! And this time, we want to get YOU, our listeners, involved. 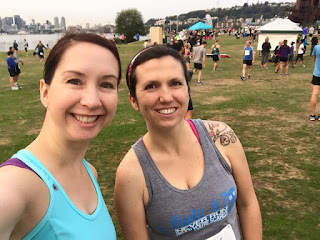 So, when Allison came to Seattle this past weekend, we hit the booth! We were a little rusty, as you can hear here. We are really looking forward to sharing some special interviews with you in the coming months. We are also putting together a signed book auction with all proceeds going to AFSP. So keep an eye on the blog because WE... ARE... BAAAACK.